My wife and I are now registered for the ASA 101 Basic Keelboat Sailing class through Learn to Sail Texas in Corpus Christi. We’re currently the only 2 members enrolled for the July 28-29th course, but that’s full enough that the captain won’t cancel the class (unless there is a hurricane). This is something I’ve been wanting to do for a little over 2 years now, so I’m pretty excited that I’m finally able to make this happen. 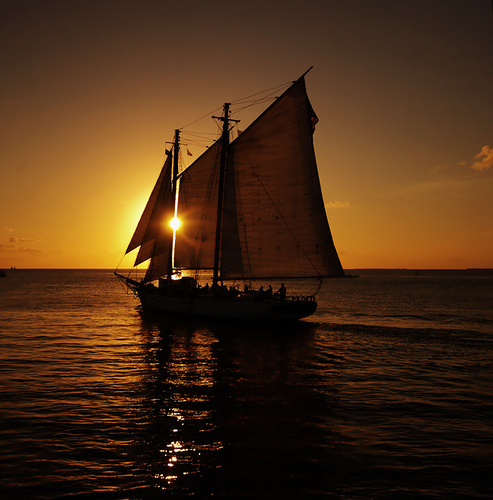 I eventually want to purchase a small keelboat or catamaran (preferably) and sail across the ocean/around the world. There are actually several levels of ASA classes/certification, and this is only the first. But it’s a step in the right direction and by only taking this basic first course, we won’t be overwhelmed with material. We had the option of taking a “fast-track” course which includes the ASA 101, 103 and 104 classes, but I feel like it would be too much at once since we have no sailing experience yet. We are also excited to see my brother & his family, since my wife hasn’t met any of them yet. I want to make sure my wife gets to visit the Texas State Aquarium and the USS Lexington while we are there. When you open a new tab in Firefox 13, you see a preview grid of most-visited web pages or something. Maybe. I’m not sure where that list comes from. Doesn’t matter, I don’t like it. There’s no way to disable it in the Firefox preferences, so you have to tweak the config settings to disable it. I don’t know what the guys at Mozilla were thinking when they added this not-so-optional “feature”. Someone suggested they were trying to win… “The Most Retarded New Features Competition”. I would change that to “The Most Superfluous New Features Competition”. 1. Type about:config in the address bar. 2. Search for “browser.newtab.url”, and change the value to “about:blank”.